A Mother’s Day card with a personal touch. While I am away from my own mother and mother-in-law today, I wanted to share with you our attempt to send a bouquet of hugs to them for all the love and support we receive from them on a constant basis. Our family is blessed with tons of amazing women and Mother’s Day is our chance to recognize all of the important work that not only our mothers do but also anyone who engages in the difficult, unpaid and under-appreciated work of nurturing and loving people that is so vital to us all. I went looking for an idea for a Mother’s Day card and found Martha Stewart’s treasure trove of handmade Mother’s Day card ideas. To me, Mother’s Day conjures up a sort of nostalgic, old-fashioned vibe. We are reconnecting with fundamental notions of nurturing and love that have existed throughout time. 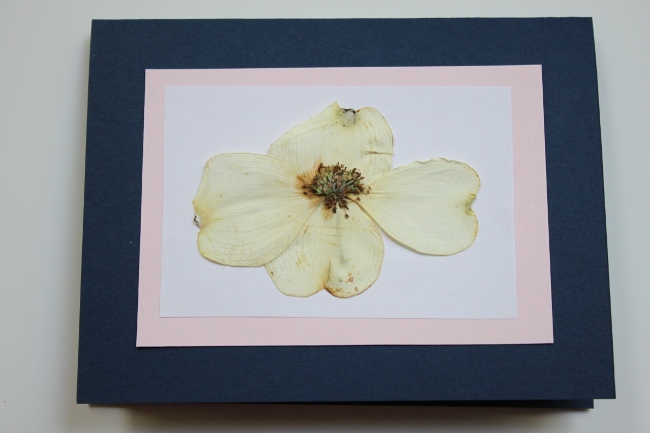 I thought Martha’s ideas were lovely and I particularly liked her pressed pansy notecards. The only problem was, we don’t have any pansies in our garden. But looking around, I realized that we had no shortage of blossoms to admire. 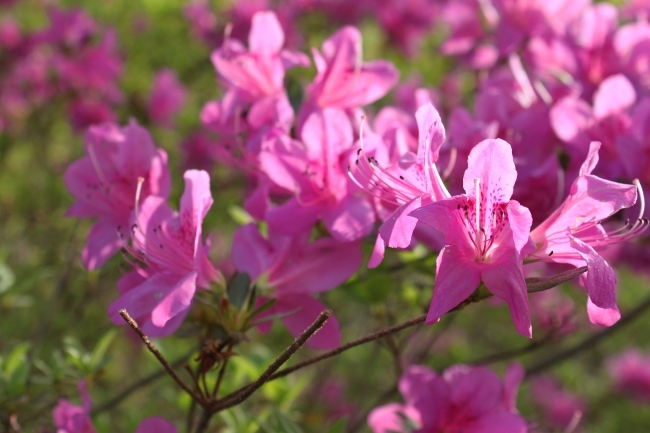 In Virginia, we are just finishing azalea and dogwood season. 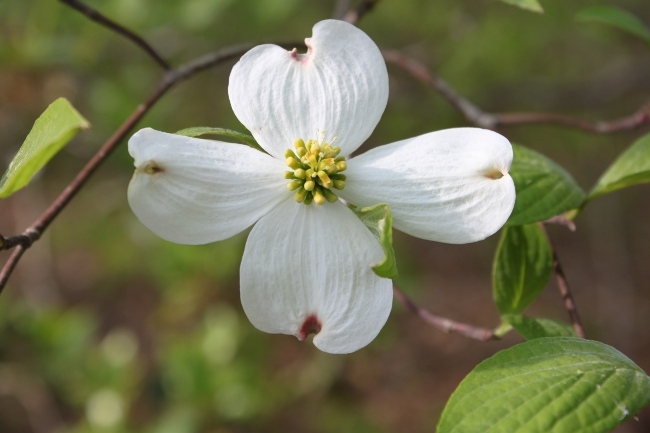 The dogwood blossom is the state flower of Virginia. 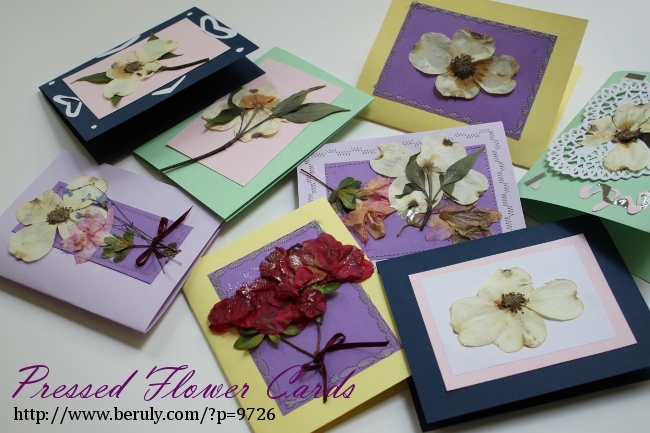 So, I thought we would try using flowers from our own garden for an extra personal touch on our cards. 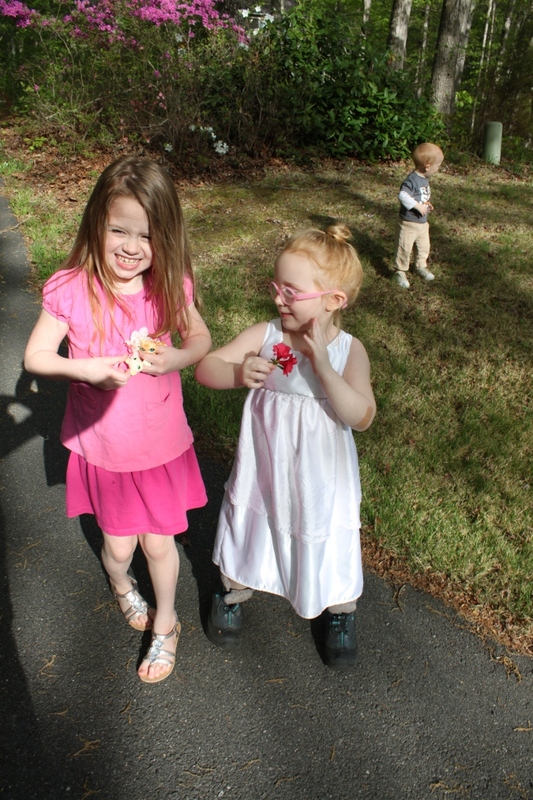 I gathered up some enthusiastic flower-pickers. Martha suggested that you include some leaves along with your flowers when you press them and that was a wonderful tip. 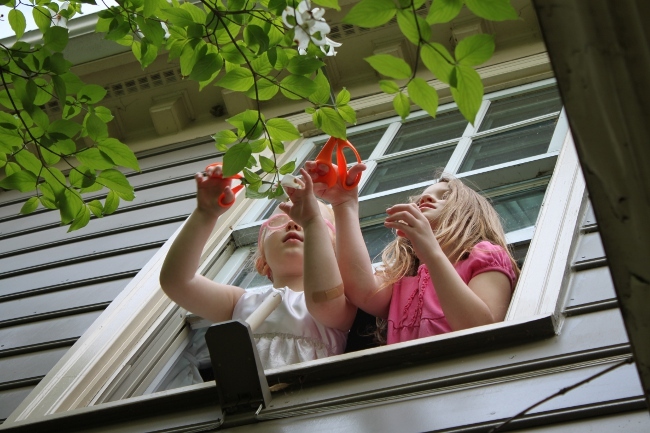 Kids in particular just want to focus on the flowers but we made sure we cut a few stems with leaves as well. 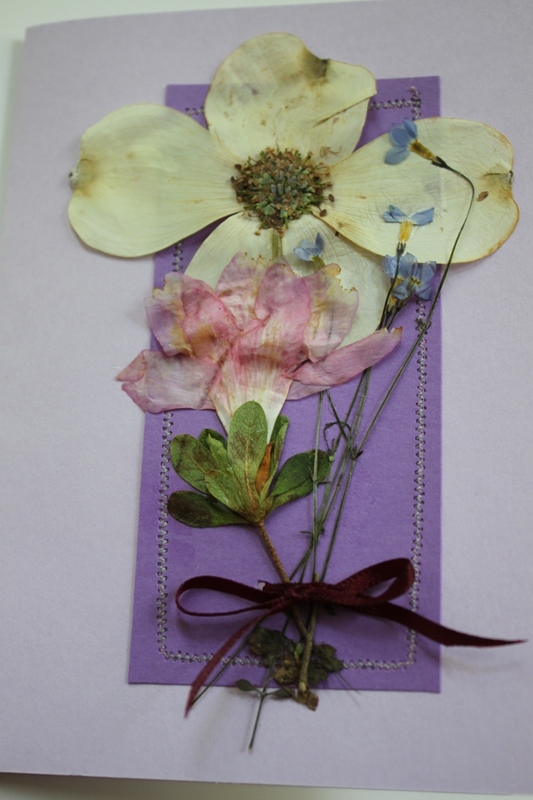 We also included a few “weeds” like dandelions and buttercups in our flower pressing. In the past, I have experimented with various methods of pressing and drying leaves. The best method for preserving color was another tip from Martha to use the old-fashioned tried and true method of pressing the flowers in a large book between waxed paper. 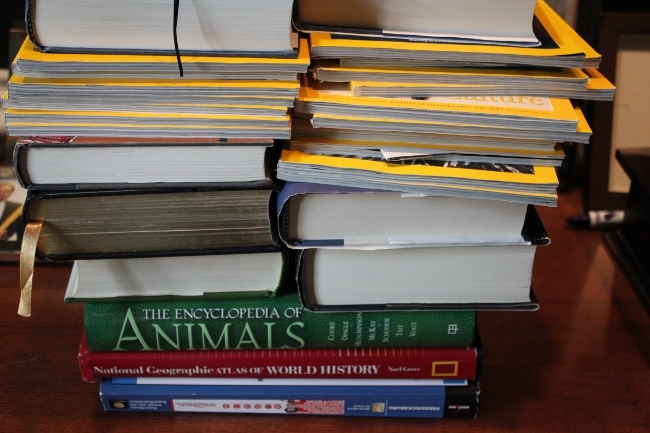 When I was a kid, my parents had a huge dictionary that we always used for this purpose. 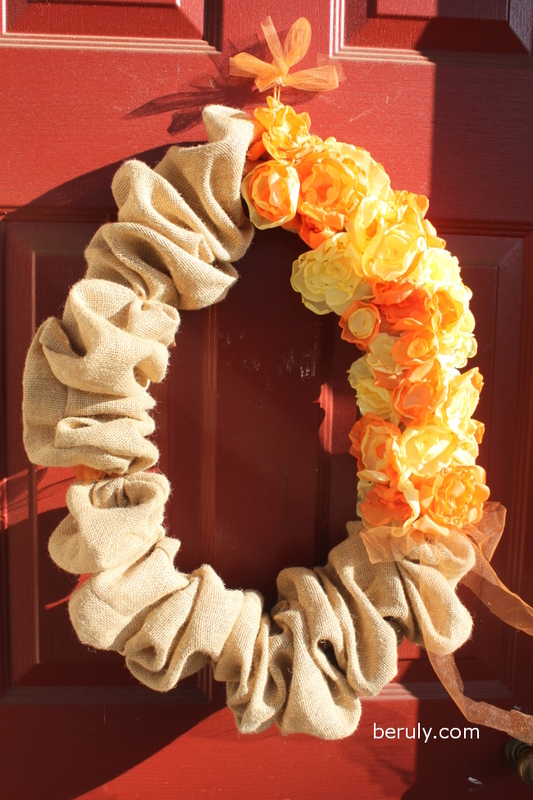 For this project, we lined the phone book with plastic wrap (I was all out of waxed paper) and put our flowers in. 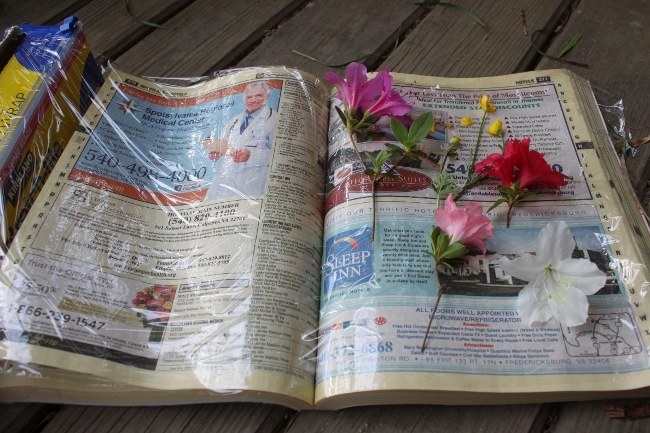 Pressing flowers in the phone book. 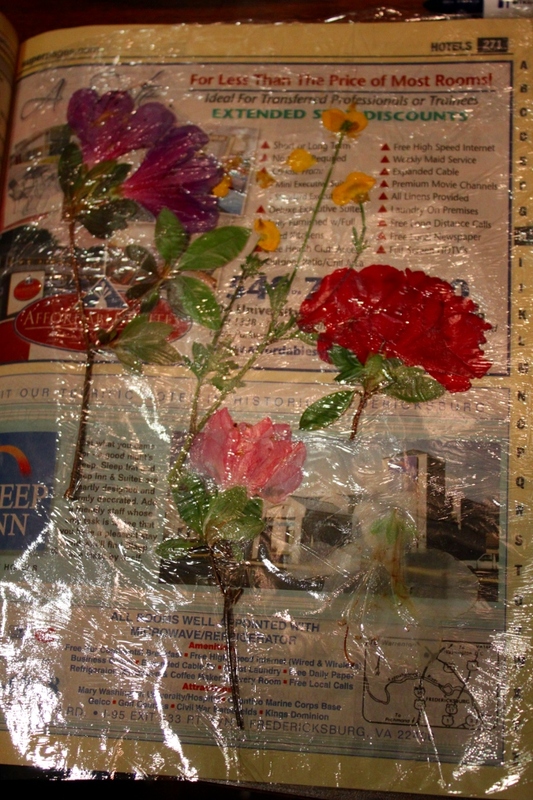 My son was not so into the flower picking aspect of this project but boy did he have fun pulling out the plastic wrap! 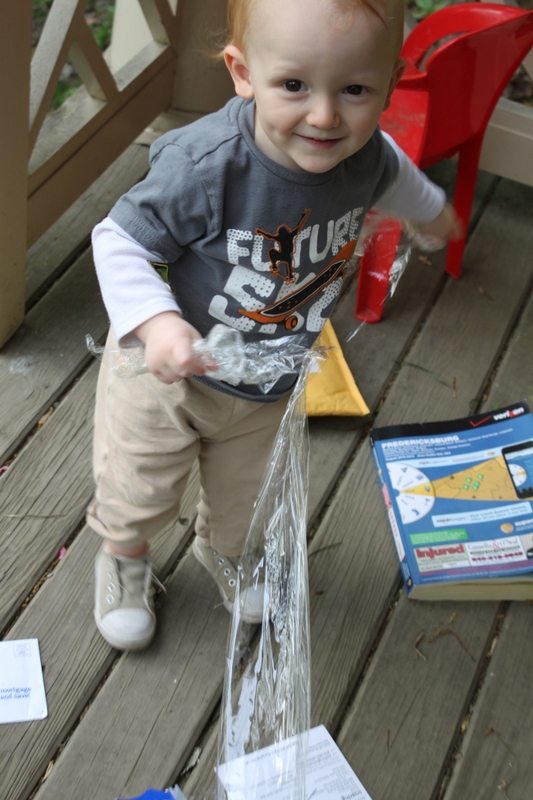 It’s a good thing we have plenty of plastic wrap! 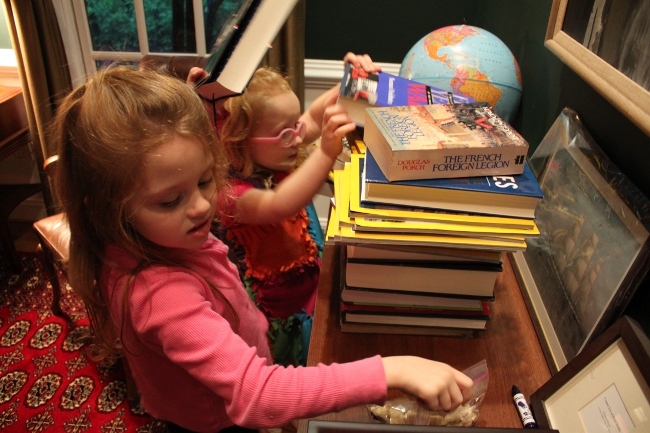 Then, we gathered up all the “heavy” books in the house. My daughters knew instantly which books to choose. Many of these aren’t books we read regularly and I was surprised to see how readily they knew which books in the house were the heaviest. We piled them up high. After about a week’s worth of pressing, my children were excited to see what had happened to our flowers. As expected, the colors were beautifully preserved with this method. The pressed flowers after about 1 week. 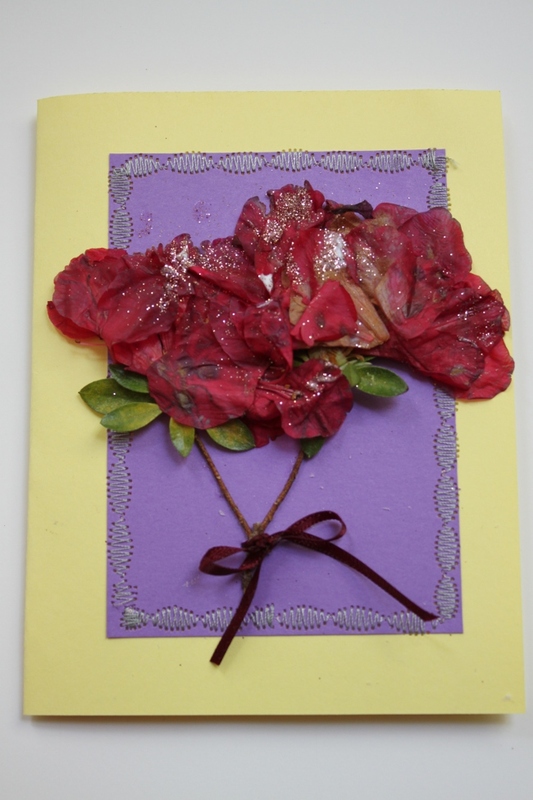 We used a variety of craft supplies from around the house to turn them into cards. Some designs were simple and others more complex. I love how all of them turned out! Getting a little fancier with an azalea bouquet, some glitter and decorative stitching from the sewing machine. We mailed them out just in the nick of time and it seems that the postal service came through for us and got them delivered promptly. Thinking today of all the people who support and inspire me in my work as a mother– my steadfast and patient husband; the tremendous examples from grandmothers, mothers, aunts, sisters, sisters-in-law, cousins and dear friends; the love and support from the men in my life–my dad, father-in-law, uncles, brothers-in-law, cousins and friends; and of course, my precious children, the lights of my lives who provide me with no end of creative challenges, questions to answer and the deepest love. 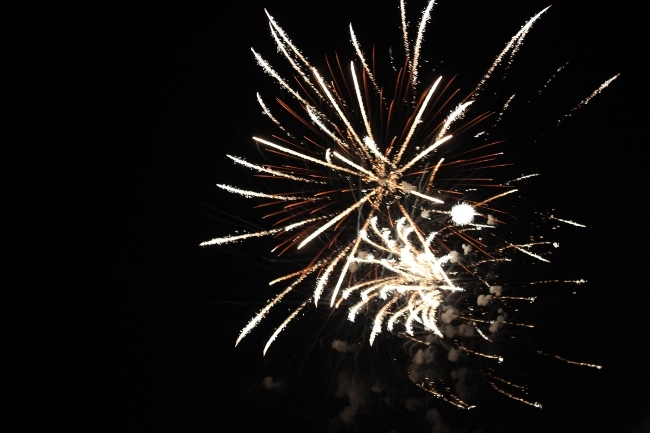 Love and thanks to you all!